Inez V. Covert, 91, of Georgetown (Greene Twp. ), died Saturday morning, Nov. 17, 2012, in the comfort of her home with family at her side. Born Nov. 2, 1921, in Newell, W.V., she was the last surviving child born to the late John and Laura (Miller) Swan. A homemaker, she was an avid Steelers fan and enjoyed game shows and was a member of the Mill Creek United Presbyterian Church. In addition to her parents, she was preceded in death by her husband of 70 years, Isaac H. Covert, on March 4, 2011. The couple were married Sept. 16, 1940. Also preceded in death were her brothers and one sister-in-law, Edwin Swan; Thomas and Thelma Swan and Frank Swan; a sister and brother-in-law, Goldie and Albert Covert. Surviving are her children and their spouses, Isaac E. and his late wife, Charlotte Covert, AR; Evelyn Jean and her husband, Kenneth Davidson, Georgetown; Virginia E. and Danny Cunningham, Georgetown; Thomas H. and his wife, Kim Covert, East Liverpool, and Robert S. and his wife, Roni Covert, also of East Liverpool and the late John Albert Covert. Also surviving is a sister-in-law, Ruth Ann Swan, SC; 12 grandchildren, 37 great-grandchildren and four great-great-grandchildren and numerous nieces and nephews survive. 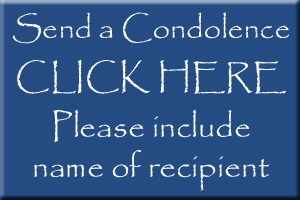 Family and friends are welcome to call Monday from 2 to 4 and 6 to 8 p.m. in the McCONNELL FUNERAL HOME, 447 Pine Street, Hookstown, PA 15050, Daniel M. McConnell, Owner/Director, where services will be held Tuesday at 11 a.m. Rev. Ken Jacobs of the Bethel United Methodist Church, officiating.